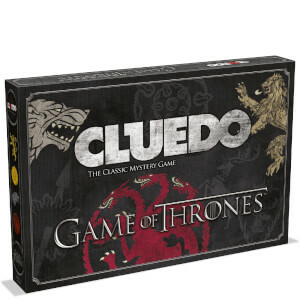 The world’s best family board game brings you another exciting edition of MONOPOLY – Game of Thrones. The race for control of Westeros is on. Advance to Winterfell, Castle Black or King’s Landing – will you owe rent or reap the rewards? Bought this as a present, so haven't been able to 'play with it', but it looks really great - and I'm sure the recipients will be pleased with it! This game arrived promptly. I would shop with Iwoot again. Bought this to replace an old version of monopoly and I am very impressed! The chance and community chest cards are very creative and different. The only negative comment I have is instead of a dragon egg they should have put an actual dragon is as one of the tokens.